Identify the potential on your farm for a viable soil carbon project and then determine the options for sequestering (drawing down) atmospheric carbon in the most effective manner. We can also help identify energy efficiency and emission reduction projects. Via our seamless process, measure your existing soil carbon levels (at depths up to 1000mm) compliant with the Australian Government’s Emission Reduction Fund (ERF) rules and signed off by our registered soil carbon technicians, working with Australia’s leading laboratory. In collaboration with our partners we remove the administrative burden and paperwork of the processes underpinning the ERF, including project registration, title searches, mapping and reporting, and facilitating the pathway to get paid for additional soil carbon you build (as Australian Carbon Credit Units). Selected courses, seminars and resources to assist with your learning about regenerative agriculture. We work with and connect landholders with leading trainers and practitioners and support peer to peer learning. Depending on the nature of your farming enterprise we work with landholders to identify the most suitable management strategies that builds soil carbon, productivity and natural capital. Structured implementation plans, systems and financial packages to increase soil carbon sequestration and productivity on your farm. Do the right thing by your soils and get paid for it. Who is Regenerative Australian Farmers? Regenerative Australian Farmers (RAF) is a leading facilitator and service provider for integrated agricultural solutions to build and monetise soil organic carbon, soil health and rural prosperity. This includes cost effective soil carbon evaluations, soil carbon field coring, baselining expertise & targeted implementation plans to support long term soil carbon contracts. RAF is a member of the Australian Government’s soil carbon methodology working group to further develop and refine measurement and reporting techniques and is linked to a global leader in remote sensing (satellite) of ground data including soil carbon. RAF works with landholders and partner service providers across all stages of a carbon project’s lifecycle in collaboration with industry partners. Since 2015 RAF has played a major role in securing substantial soil carbon sequestration contracts (10 year) under the Federal Government’s Emission Reduction Fund. RAF offers landholders a comprehensive and affordable suite of soil carbon measurement and emission reduction services (from an initial diagnostic, soil carbon baseline, implementation plan to on-going monitoring and reporting and energy effiiency) of which the central focus is building soil carbon and helping farmers secure a competitive commercial return on their investment through both a carbon price and increased productivity. To contribute to a global reversal of the current trend in land degradation through regenerative agricultural practices that build soil carbon, increase water retention, support soil biology and ecosystem biodiversity. This is our legacy. RAF believes that regenerative agriculture is one of the best kept secrets in our collective response to climate change, widespread land degradation, water retention, loss of diversity and declining regional economic growth, and our desire for food security that is clean and non-toxic. Net farm income is at record lows with the cost of industrial agriculture climbing relentlessly. Given that humanity is sustained by just the top 15cm (6”) of soil, if we fail to ensure that this precious veneer of the earth’s crust is not taken care by reversing the current oxidative farming practices and working with nature not against, the consequences are neither desirable nor unacceptable. We have the evidence. Since 1840 the soil carbon levels in southern Australian have fallen from around 4% to less than 1% (source Strezlecki, 1842). This has arisen from oxidate farming practices which deplete our soils of organic carbon and increase of atmospheric CO2. RAF’s agenda is to inform, educate, motivate and participate in restorative farming practices that result in atmospheric carbon being returned to the soil, the soil sponge rehydrated, emissions reduced and farm productivity increased. Healthy soil; healthy plants and animals; healthy and affordable food; healthy humans. It’s that simple – together we can. RAF is a team with a wealth of industrial and regional experience, including landholders, engineers, scientists, project managers and businessmen. Dr White has been involved in the development of regenerative farming systems for over four decades and has provided input to Federal and State governments for Climate Change policy, including the passage of the Carbon Farming Initiative (CFI) and Emissions Reduction Fund (ERF) legislation. 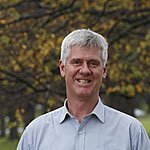 John is Chairman of Regenerative Australian Farmers (RAF), aimed at rolling out regenerative farming systems that can sequester atmospheric carbon dioxide as stable soil carbon, improving agricultural productivity and regenerating the landscape – to make a significant contribution to climate change solutions. 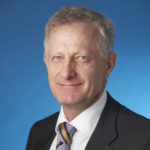 Formerly John was the Chairman of Global Renewables (to pursue greenhouse gas reduction opportunities and waste recycling solutions) and the CEO (and a Director) of a number of major private and publicly listed Australian companies, including AMECON/Transfield Defence Systems, Visy Industries and Siddons Ramset Limited. John served as Chairman of the Australian Government's Uranium Industry Framework, was a member of the Australian Government's Defence Procurement Board, a Director of the DefenceSA Board and co-authored the Federal Government’s Review of the AWD Program. Deane Belfield (Director) - BE, MEnvSc(Hons), MBA, FIEAust. Deane has spent the bulk of his career working with blue chip companies such as Siemens, Telstra, Coopers & Lybrand and PricewaterhouseCoopers, before establishing ECO2Sys, a sustainable business consultancy. Through this time he was responsible for leading major projects that integrated sustainable and low emissions strategies into the core business function, both at a national and global level. He has also been involved with the carbon emissions trading programs since 1998. Through his farming background Deane has seen the gradual degradation of farmland arising from the pressure of industrialised agriculture, which has become the dominant paradigm. This form of ‘resource extraction’ is not sustainable and has lead to increased greenhouse emissions, soil toxicity, and decreased soil biology and water retention. Deane is an advocate of including regenerative agriculture (soil carbon sequestration) as a key strategy for any community seeking to achieve Zero Net Emissions. He runs a biodynamic farm in central Victoria and has a 10year soil carbon contract under the ERF. Russell was formerly the CEO of Australian and International resources engineering companies. 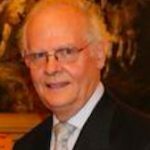 He has served on a number of government boards and committees and has been a long-standing Councillor of the Australian Industry Group. He assisted John White with the development of Global Renewables and has a deep commitment to greenhouse gas reduction through soil carbon sequestration and the consequent improvement in soil quality and farm productivity. Jeff has enjoyed 20 years of professional business, sustainability and corporate advisory experience in Canada, India and Australia. 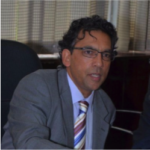 He is acknowledged as a leading international expert consulting in resource management and restoration of natural assets in agriculture, forestry and soil and water resources. 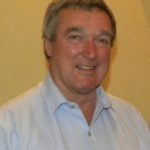 He has a depth of experience in corporate strategy, commercialisation and business partnerships for growth, and has advised government, indigenous communities and public and private companies on creating sustainable value in the agricultural, water, energy, mining and environmental sectors in Australia, Canada and India. Tom has extensive experience working in the regenerative agriculture sector (Victoria, NSW and Queensland) and has first hand experience in the implementation of regenerative practices that lead to improved soil biology, building soil carbon, greater water holding capacity (the soil carbon sponge) and is extremely well connected with leading practitioners in this sector. Our Modus Operandi is to collaborate with key industry partners such as Corporate Carbon, Healthy Soils Australia, LawrieCo. If you are interested in improving the health and quality of your farm soils, creating resilience to changing climatic conditions as well as increasing profits, we can help. The RAF Group has developed key management strategies for Australian landholders to optimise their returns by adopting regenerative farming practices to build soil carbon and create carbon certificates via the Emissions Reduction Fund, Australia’s only formal carbon market place. Carbon farming refers to regenerative farming practices that deliberately optimise the draw down of atmospheric carbon dioxide into the soil to improve both the fertility and health of the soil. Planned grazing, biological fertiliser, selective use of herbs, forbs, grasses and cereals and livestock management are some of the many available and well proven techniques. The Australian Government’s $2.55B Emission Reduction Fund (ERF) is aimed at reducing and/or drawing down CO2e emissions in the most cost effective manner. Soil carbon sequestration is an approved methodology under the ERF regulations, whereby sequestration describes the absorption and storage of carbon within the soil. Financed by the ERF, carbon certificates (or ACCUs) contracts are legally bound 10 year contracts that arise through the additional carbon that is sequestered into soils during and beyond the contract period. The major dividend however is an increase in soil health, water retention and productivity.